And the grasshoppers were singing up the rain. The Ghost Dance religion–it was perhaps more accurately a religious movement than a single religion–sprang up among the Paiutes in the late nineteenth century, and spread rapidly. Many tribes–notably the Lakota under Sitting Bull–eventually embraced the Ghost Dance or incorporated it into their religious practice. Dance, trance, and direct experience of the spirit world were central to the movement. Wovoka taught that, if the people practiced properly, the dead would be reunited with the living, the buffalo would return, and an age of peace and plenty would come. The white people did not figure largely in this vision of this new world. 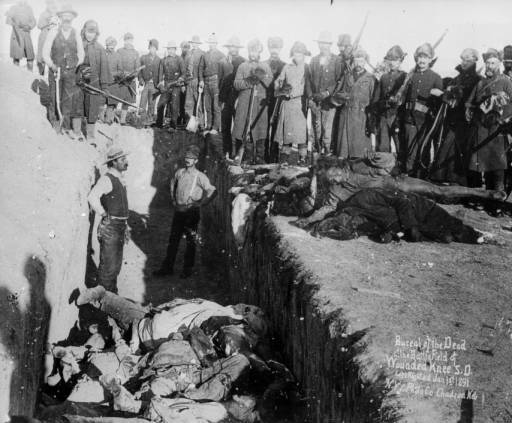 The whites–as embodied, for example, in the United States Army–were more than a little alarmed at any rumours of organization among the people, and true to form their alarm was made concrete when soldiers murdered hundreds of Lakota men, women, and children at Wounded Knee in the dead of winter, 1890. Years ago, a Nez Perce man in Idaho told me that the people were doing the dances again. But I have also heard that they never stopped. 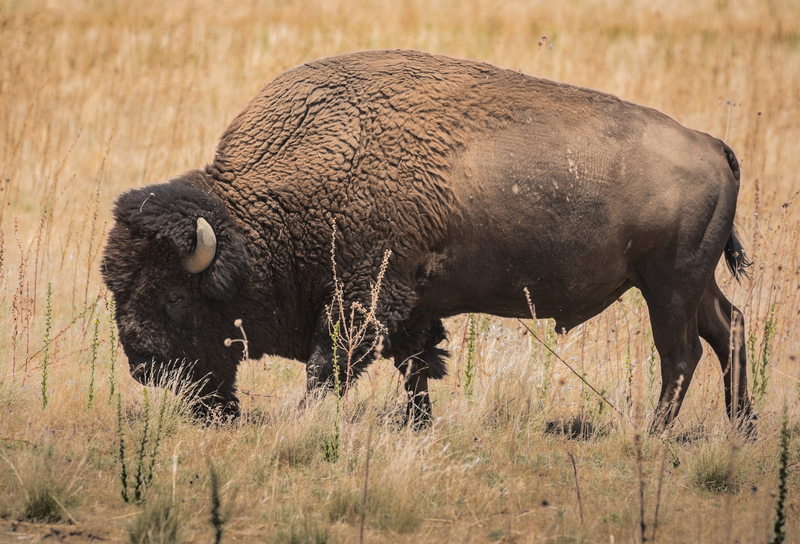 Image: Bison Grazing by Andrew Smith, published under a Creative Commons Attribution-ShareAlike 2.0 Generic (CC BY-SA 2.0) license; grasshopper’s perspective by Markus Schöpke, published under a Creative Commons Attribution-NonCommercial-ShareAlike 2.0 Generic (CC BY-NC-SA 2.0) license; Bureal [i.e. Burial] of the dead at the battlefield of Wounded Knee S.D., Denver Public Library digital collections, dated ca. 3 Jan. 1891 (in the public domain in the United States). 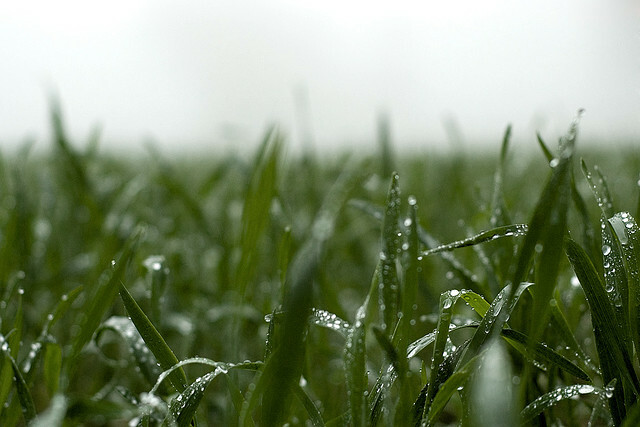 Oh, and formally: rhyming a-b-c-a-b-d-c-d, the song thrice repeats three things (here rain; song; “my father said”). The verse form is called san san. This entry was posted in Ghost Dance, poem, san san and tagged animal poems, death, Dream Songs, ghost dance, poem, poetry, rebirth, san san, song by Thomas Kearney. Bookmark the permalink.